CBS topped Thursday thanks to some solid sitcom reruns and a brand new “Big Brother” episode. The so-called Tiffany Network smashed-up ABC’s “BattleBots” premiere in the process. The Les Moonves-led broadcaster was first in ratings with a 1.2 rating/5 share in the advertiser-coveted 18-49 demographic and in total viewers with an average of 5 million, according to preliminary numbers. Following repeats, the 9 p.m. ET “Big Brother” posted a 1.7/6 and 5.6 million viewers. Another rerun followed. ABC was second in ratings with a 1.0/4 and in viewers with 4.1 million. 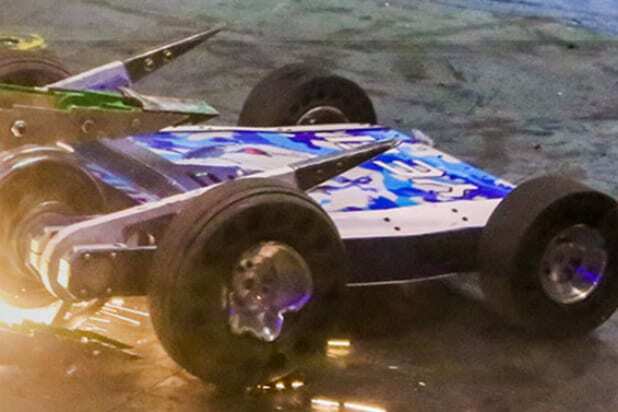 The two-hour “BattleBots” premiere landed a 1.0/4 and 3.9 million viewers. A repeat followed. Fox was third in ratings with a 0.7/3 and in viewers with 3.3 million. “Bones” at 8 p.m. ET had a 0.9/4 and 4.4 million viewers. At 9, “Home Free” got a 0.5/2 and 2.2 million viewers. NBC and Telemundo tied for fourth in ratings, both with a 0.6/2. NBC was fourth in total viewers with 2.3 million viewers, Telemundo was fifth with 1.5 million. For NBC, following a rerun, “Spartan” received a 0.7/3 and 2.7 million viewers at 9 o’clock. “Aquarius” at 10 managed a 0.4/2 and 1.8 million viewers. The CW was seventh in ratings with a 0.2/1 and in viewers with 808,000. Following a repeat, “Beauty & the Beast” had a 0.2/1 and 839,000 viewers. 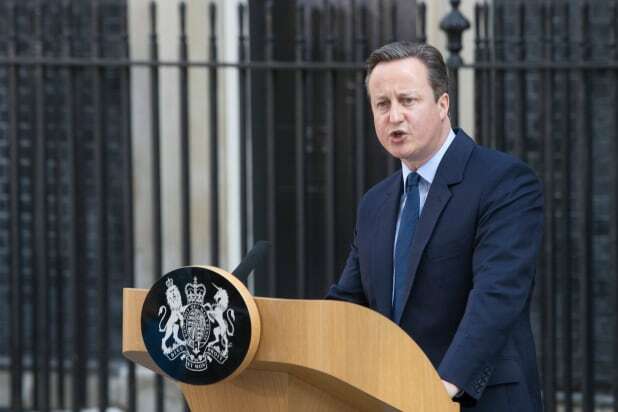 U.K. Prime Minister David Cameron (pictured) announced he would step down following a historic vote that saw Brits electing to leave the European Union. A new prime minister should be in place by October. Vivendi S.A. is a French multinational mass media company headquartered in Paris, France. The company is active in music, television, film, video games, telecommunications, tickets and video hosting service. The Financial Times Stock Exchange 100 Index, also called the FTSE 100 Index, FTSE 100, FTSE is a share index of the 100 companies listed on the London Stock Exchange with the highest market caps. Sky plc is a pan-European satellite broadcasting, on-demand internet streaming media, broadband and telephone services company with headquarters in London. It has operations in the United Kingdom, Ireland, Germany, Austria and Italy. Pinewood Group plc is a British multinational film studio and television studio company headquartered in Iver Heath, Buckinghamshire, England. ProSiebenSat.1 Media SE is a German mass media company. It operates commercial television, premium pay channels, radio stations and related print businesses. ITV plc is a British media company that holds 13 of the 15 regional television licences that make up the ITV network, the oldest and largest commercial terrestrial television network in the United Kingdom. The British pound has fallen to its lowest valuation in decades as a result of Brits voting to exit the European Union (aka the “Brexit”). Overseas-based media companies and index funds are among the hardest hit. We’ve used 5-day snapshots illustrate the sudden drops. Remember ‘Celebrity Family Feud’s’ Big Ratings From Last Year?